All the ways lead to Tarascon! In the crossroads of the valleys, near Spain and Andorra, Tarascon-sur-Ariège is easily accessible. With the highway A66 nearby and 2 airports at 1hour of distance, the Ariègeoise place is the ideal place for your adventure in the Pyrenees mountains. The city of Tarascon-sur-Ariège is a major passage for the travellers and the lovers of Pyrenees. View from the “Castella” tower. Tarascon-sur-Ariège is well located, accessible by air, railway, with Spain and Andorra at 2 hours driving. Paris/Toulouse/La Tour de Carol. Tarascon-sur-Ariège train station. Carcassonne “Salvaza”, at 100 km from Tarascon-sur-Ariège. 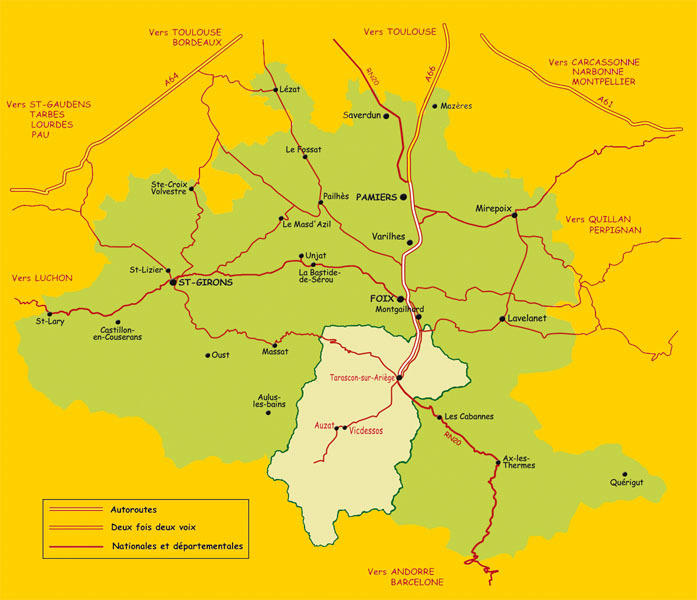 From Toulouse (1 hour): take the highway A61, direction Montpellier-Foix, take the A66 direction Pamiers. In Pamiers, follow the highway to Foix-Andorre (Tarascon-sur-Ariège at 40 km, Auzat at 55 km, Les Cabannes at 46 km and Beille at 65 km ). From Bordeaux (3h15): Take the highway A62 to Toulouse then the highway A61 direction Montpellier-Foix. Take the A66 direction Pamiers. In Pamiers, follow the highway to Foix-Andorre (Tarascon-sur-Ariège at 40 km, Auzat at 55 km, Les Cabannes at 46 km and Beille at 65 km ). From Montpellier (2h45): Take the highway A61 direction Toulouse then take direction Pamiers on the A66. In Pamiers, follow the 2×2 road to Foix-Andorre (Tarascon-sur-Ariège at 40 km, Auzat at 55 km, Les Cabannes at 46 km and Beille at 65 km ). 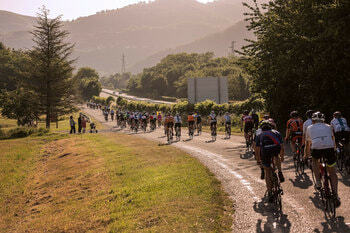 From Barcelone (2h50): follow Manresa, tunnel de Cadi (100 km from Tarascon-sur-Ariège), Puigcerda, tunnel du Puymorens, Ax-les-Thermes, Les Cabannes,Tarascon-sur-Ariège, Auzat.